Headlamps have evolved from simple oil burning coach lamps and acetylene motor car lamps with a spherical reflector via perfectly functional 7 inch parabolic reflector tungsten-halogen sealed beam units to the glitzy designer wet dreams of Xenon High Intensity Discharge (Xenon-HID) lights and High Brightness Light Emitting Diodes (LED) we suffer from today. H7 35 watt Xenon High Intensity Discharge arc tube Xenon-HID lamps are a development of the white metal halide arc lamps that are used in motor showrooms and are replacing sodium street lights. For automotive use, the Xeon gas discharge creates an instant light from a 400volt ac pulse whilst the metal halide arc tube ignites and warms up. After warm up, the electronic ballast runs the lamp (or more correctly the "burner") at about 80volts 400hz ac. Even though most designs break the law by causing dazzle over humps and potholes, there seems to be an escalating competition between which car manufacturer can invent bigger and brighter headlights under the guise of safety. Tragically, the UK, the EU and the UNECE authorities who determine global technical vehicle regulations condone this. If headlights were less blinding, more powerful headlamps would not be necessary. 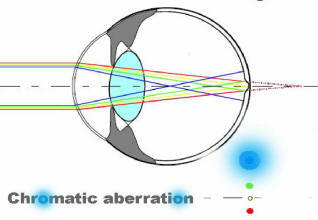 The French understood the need to prevent blinding and thereby improving contrast vision (filtering the ‘blue blur’, a chromatic aberration halo) by using "Selective Yellow" headlamps between 1936 and 1993. Pilot’s, sportsmen, and the visually handicapped spectacles use yellow intraocular lenses. In a building professional lighting designers strive to prevent the light source being visible to occupants to prevent eye-strain and glare. On the roads when life-safety is at stake motor manufacturers deliberately try to blind other drivers under the guise of safety by focussing light directly into their eyes or permitting Xenon-HID lamps to blind drives due to high intensity and defective self levelling design (on most cars the self levelling only operates once at startup). 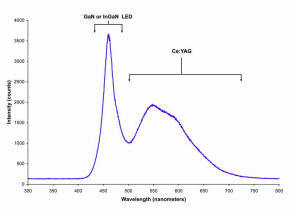 Unbelievably, the Authorities (who strangely have failed to consult expert Ophthalmologists) simply think that if an intensity of 800 candelas is permissible for dipped headlights at night time, then brighter 1,200 candela lamps are OK during daytime. Although a driver can have 20:20 vision, increasing age of correlates with increasing glare sensitivity, prolonged retinal recovery times following light macula stress - as a result - ‘driving in black tunnels’ jeopardizing all ‘traffic relevant objects’ plus the drivers themselves during longer phases of retinal recovery. Drivers who have had eye surgery are particularly affected. 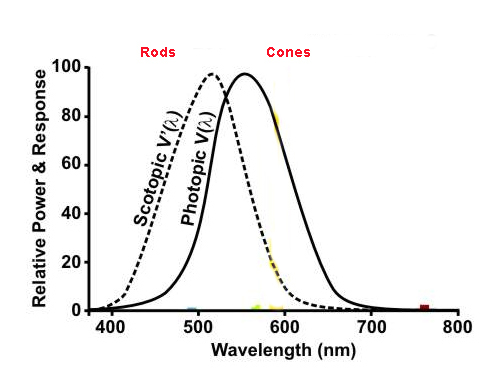 However the Authorities have fundamentally failed to understand that the retina uses different sensors for daytime and night-time – colour sensitive cones in the day and rods (periphery of visual fields, moving objects) at night. Beyond critical numbers of peripheral dynamic stimuli (sometimes less than four super-bright DRL-sources) ‘working memory processes’ and visual short term memory activities may suffer from capacitive de-compensation sometimes resulting in fatal cognitive and perceptual disorders. Daytime cones are sensitive to colours (central visual acuity) and essential for hazard perception (sharp vision). 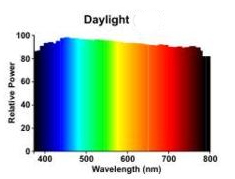 Recent studies showed again that at low light levels the human eye does not function fully in the normal photopic region and its colour sensitivity shifts to the scotopic conditions (Purkinje shift or Purkinje effect). The curve's peak is shifted towards the blue end of the spectrum thus making the eye more sensitive to Xenon-HID and LED lights at night. Besides the effect upon the physical eye, there are more important neurological effects that happen between the eye and the brain. These explanations are best left to the experts. Professor Peter Heilig explains the phenomena of how Inattentional Blindness, Capacitive Dysfunction of Working Memory and Visual Short Term Memory etc. can permit a driver to overlook a child on a pedestrian crossing in clear graphic detail in Impaired Perception in Driving and Sport. His publication Safe Cycling is a good introduction to the problems blinding Xenon-HID and Daytime Running Lights (DRL) lights cause vulnerable road users. Why Xenon-HID Headlamps affect older drivers by Mainster and Timberlake is another useful publication. Volvo introduced DRL initially in the early 1960's with brighter 18watt "parking" (or strangely as we call them in the UK side-lights) lights but when they changed to driving on the right in 1967, they found it necessary to use dipped (or as the EU say low beam) headlamps to stop Swedish drivers hitting each other on the "wrong" side of the road. As motor manufacturers are continually looking for safety and environmental gimmicks (anyone remember claims for a coating on the radiator that supposedly cleaned the air to offsetting exhaust emissions?) DRL were then adopted by Canada and consequently foisted onto the world. 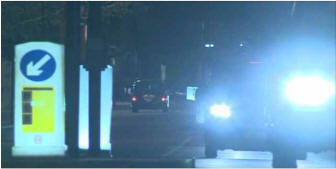 From February 2011 DRL become compulsory on new vehicles in Europe. Headlights in daytime may be necessary due to poor climatic in Sweden and Canada which are covered in snow for four months or when the sun does shine, it's low in the sky - but this is not typical of the rest of the world. However Marcin Gorzkowski the chairman of the UNECE WP29 group that sets vehicle global technical lighting regulations is Canadian - maybe this is why the rest of the world is suffering. Strangely, no EU country (not even Sweden) can can prove that DRL save lives. 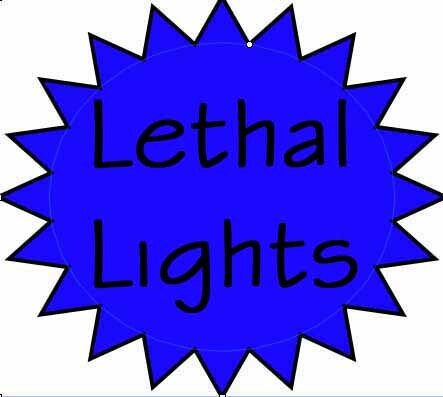 We have evidence that DRL are killing people and who knows the cumulative affect of disability glare caused by Xenon-HID headlamps?. The flawed EU research studies used slides in a laboratory rather than real lights! Government and Local Authorities seem to spend our taxes by making life more difficult for motorists thus creating a negative more aggressive and dangerous frame of mind. We have seen tyre and suspension damaging humps, speed cameras sited to maximise revenue rather than safety, chicanes, and now it seems permitting motorists to blind each other and kill vulnerable road users each other is official policy. We would not need any of these expensive and negative measures and in particular blinding Xenon High Intensity Discharge headlamps and blinding Daytime Running Lights. Collectively for everyone's safety and sanity, we must persuade the UK government to stop this escalating Lightmare!